Place the chocolate and almond milk in a thin-sided bowl and suspend over a gently simmering bain-marie, ensuring that the bowl does not touch the water. Melt the chocolate, stir until smooth, then pour into the glasses. In a pan, heat the almond milk, cardamom and cinnamon to approx. 75°C while stirring. Remove the pan from the heat, cover and allow to infuse for approx. 5 mins., remove the cinnamon stick. Hold the pan at a slight angle, froth using a handheld blender. While frothing, move the blender up and down to the surface of the milk. Pour the milk and foam into the glasses. Heat the oil in a wide pan. Add the corn kernels, cover and leave to pop over a medium heat for approx. 2 mins., transfer to a bowl, season with sugar, thyme and salt. 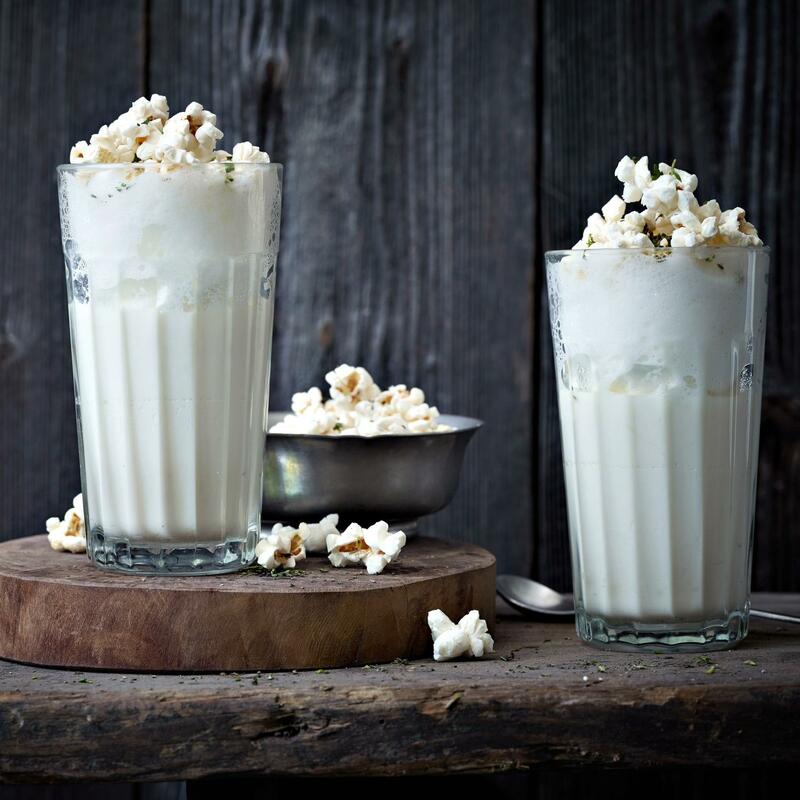 Sprinkle the popcorn over the almond milk foam.